Faith, what do you use it for? Whatever worldview you ascribe to, and I know that for some of my readers that means that you do not believe there is a God, takes faith. Maybe not faith in the religious conotation of the word, but a faith that takes the things understood about a subject and forms them into an opinion that you are willing to live your life according to. That is faith. Faith is a belief in things that you can not see. We all use faith everyday. The questions is, what do we use it for? 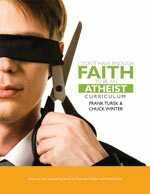 In their book I Don’t Have Enough Faith to Be an Atheist, Norman L. Giesler and Frank Turek, explore an issue of faith. They ask you to consider if you have enough Faith to be an Atheist. Their conclusion after much study is announced in the title of their book. But, how did they get there? What did they study? There must have been a process by which they came to this conclusion. Geisler and Turek do not shy away from explaining other worldviews. They address what it takes to be an agnostic, a skeptic, the difference between eastern logic and western logic, and importantly; how we can know what truth is. This willingness to tackle and explain what other beliefs are out there was a big selling point to me. I don’t want a book that explores the issue of faith; to just tell me to have faith and be done. I don’t want it to tell me that everything but this one thing is bad…. believe what I say and move on. That isn’t a book I would read. One of the biggest reasons this book was so interesting to me was that it took the time to present opposing views, present a counter argument, and trust that I will think critically to reach a logical conclusion. 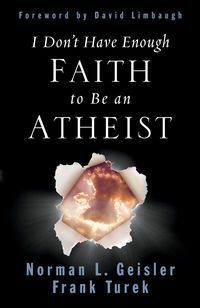 Meant to be much more than just a great book to read, but a catalyst to help you better understand the how and why of what you believe; I Don’t Have Enough Faith to Be an Atheist comes with a 279 page workbook that turns a great read, into a curriculum. This workbook creates an in-depth learning experience for your High School aged student, or perhaps as a great adult small group study. The workbook presents you with supplemental material, study questions and activities that will encourage personal reflection, discussion and build writing skills. The supplemental reading in the workbook is very informative! I never knew a David Hume. ( I thought Hume was a lake in Fresno, Ca.!) or what in the world empiricism was. Let alone pronounce it…. But I have learned, and understood and I feel more informed and better able to defend what I believe because I have read this book. Above you can view the table of contents and see that the topics are presented and discussed in a very engaging way. It is not the intent of the authors to lose you or your child in technical terms and hard to understand jargon. They clearly define the terms discussed in each chapter and walk you through the arguments step by step. This isn’t a book that you or your student will read without reflection. It is meaty and I have found myself chewing on the morsels through out the day. 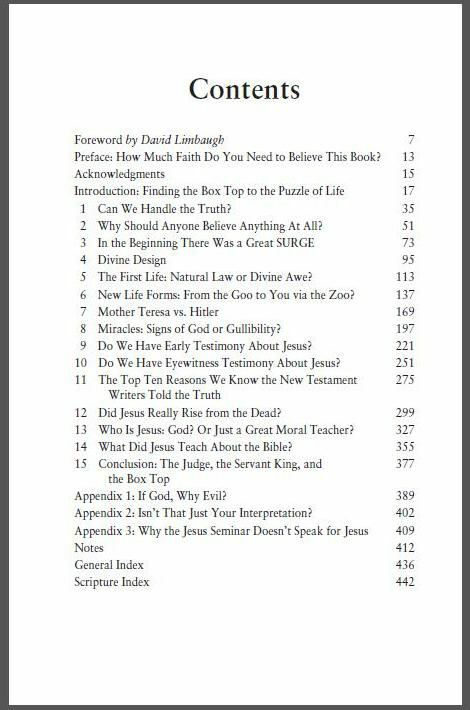 Whether you are looking for an in-depth Bible Curriculum for your High Schooler or a personal study for your own quiet time, I Don’t Have Enough Faith to Be an Atheist will keep you busy for a nine month study. I have enjoyed my weeks with this book and I look forward to more hours with it in the months to come. The book is priced at $16.00*, the Workbook at $33.00. I enjoyed reading the book and using the work-text. I feel that both items are very worth the investment. The folks at Apologia.com have hit it out of the park with the debut of an Apologetics Curriculum for High Schoolers. Having used this curriculum in my personal study time, I feel that any students would be well prepared for the variety of worldviews that will be discussed during their college years and beyond. *At the writing of this review Apologia is currently out of stock on the BOOK. They have stated that their inventory will return in September for those of you who wish to use this curriculum in the 2012-2013 Academic Year. As with all curriculum advice I share on this, my little corner of cyberspace, don’t just take my word for it. Over a hundred families reviewed this product. Visit the link below to see how other families enjoyed it ( or not ) in their homeschool environments. *****Disclaimer*****I was sent a copy of I Don’t Have Enough Faith to Be an Atheist, and the corresponding Workbook by Apologia.com, solely for the purpose of this review. No other compenstation has been received. All the above opinions were formulated by actually reading the book, and using the workbook in my personal study time. This entry was posted in Curriculum, High School, TOS Crew Review by julie. Bookmark the permalink.